The Mangosteen (Garcinia Mangostana L.) Fruit has been treasured for thousands of years by the people living in Southeast Asia. The warm, tropical climate and nutrient rich soil guarantee perfect conditions for these fruits to ripen. The moist, soft and juicy inner flesh of the Mangosteen is sweet, aromatic, and tastes great. 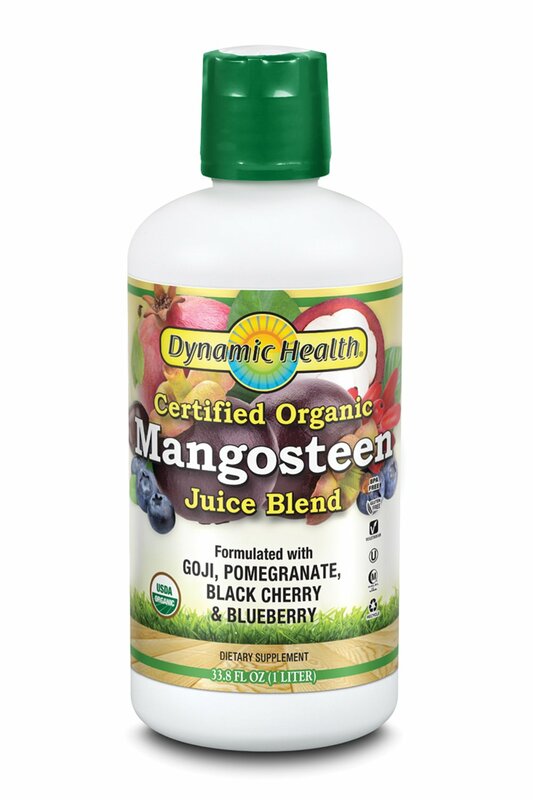 Dynamic Health Laboratories, Inc.'s unique Organic Certified Blend of Mangosteen, Goji, Pomegranate, Black Cherry and Blueberry Juices creates a powerful antioxidant cocktail that is rich in naturally occurring minerals, enzymes, antioxidant vitamins, amino acids, phytonutrients and bioflavonoids. A Natural source of Ellagic Acid and Xanthones.